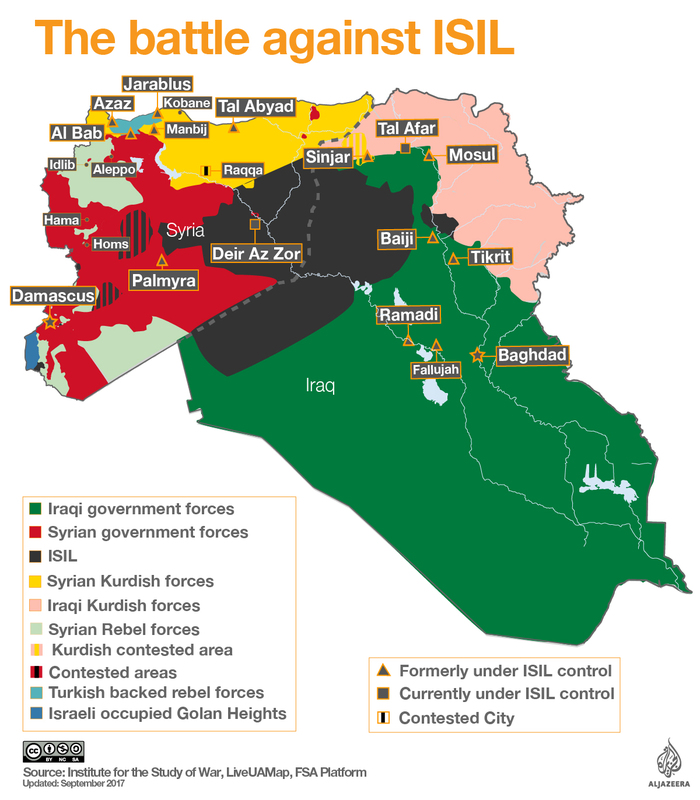 出典：“Islamic State and the crisis in Iraq and Syria in maps,” BBC, 1 September 2017. “Iraqi Kurds ‘prepared to draw own borders’, Barzani warns Baghdad,” BBC, 11 September 2017. 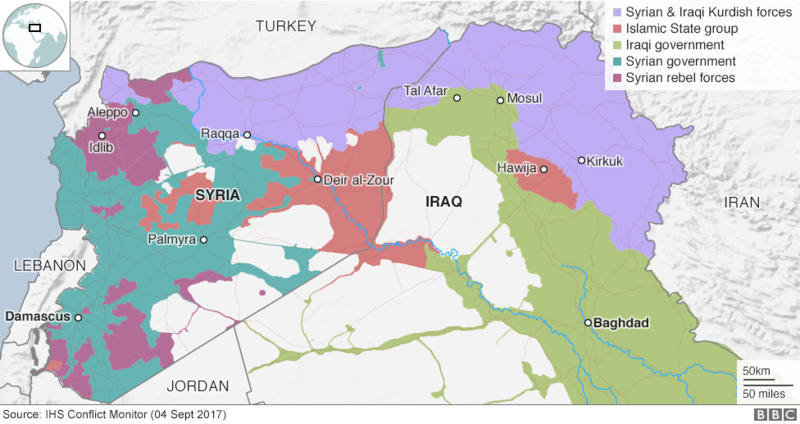 出典：“MAPPED: The battle against ISIL,” al-Jazeera, September 5, 2017. “Battle for control in Syria,” Reuters.